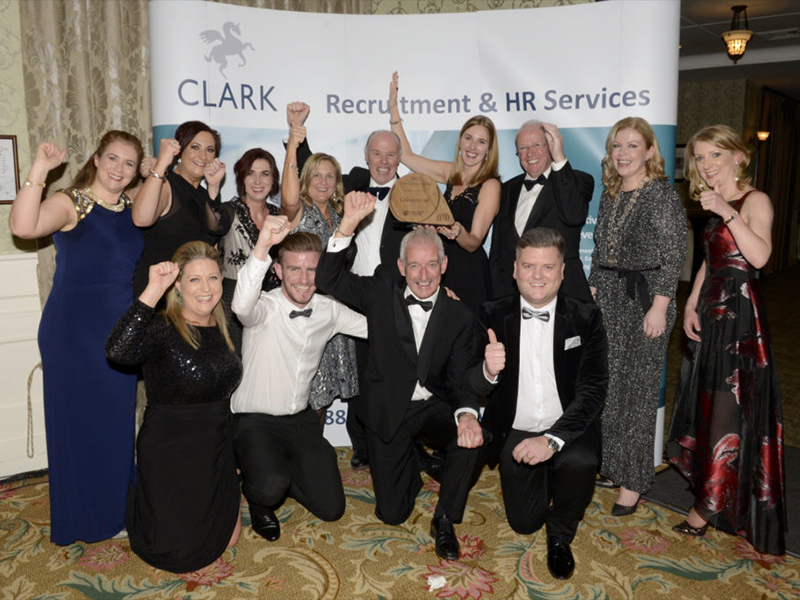 Over 350 business leaders from across Kildare attended the Kildare Business Awards Gala Ball in association with Clark in the K Club on Friday night (17th November). The guests included, Mayor of Kildare Martin Miley, Fiona O'Loughlin TD, CEO of Kildare County Council Peter Carey, President of Maynooth University Professor Philip Nolan, President of County Kildare Chamber Maureen Bergin and former Minister for European Affairs Lucinda Creighton. Allan Shine, CEO of the Chamber in his opening address paid tribute to all the finalists and noted that this year the Chamber received a record number of application for the category awards on offer. He outlined how 2017 to date has been a great year for business in Kildare. "Unemployment continued to fall, business sentiment continues to increase and there is a huge air of optimism in the county". Business of the Year for 2017 was won by Colourtrend who also took home the Customer Excellence Award. Eamonn Sinnott, Vice President of the Technology and Manufacturing Group at Intel Corporation and the General Manager of Intel in Ireland was this year's recipient of the Outstanding Contribution to Business Award.